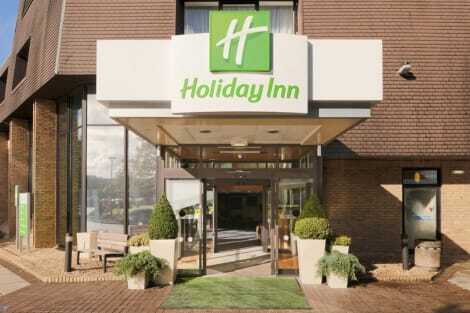 A modern Lancaster hotel just off the M6 motorway, with free parking, free WiFi and an indoor pool Holiday Inn® Lancaster hotel is just off the M6, with easy access to the Lake District. The shops and attractions of Lancaster are a 10-minute drive away. Alternatively, leave the car in the hotel's free car park and catch a bus to the town centre from the stop outside the hotel. Lancaster station is served by direct trains to Manchester. Blackpool Airport (BLK) is 40 minutes' drive from the hotel. 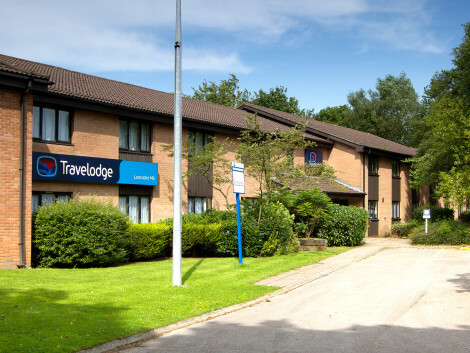 The hotel is just 20 minutes' drive from the scenic Lake District National Park. A 10-minute drive from the hotel, 12th-century Lancaster Castle is surrounded by parkland. Nearby, the riverside Lancaster Maritime Museum occupies a former warehouse. Morecambe Bay, 20 minutes' drive from the hotel, offers coastal walks and seafront cafés. Business guests are 20 minutes' drive from Heysham Power Station. At the hotel, you can host meetings for up to 100 people in seven flexible conference rooms with AV equipment and free WiFi. In the relaxed restaurant, start your day with a buffet breakfast, or enjoy an evening meal with family or colleagues. A visit to the well-equipped gym or indoor pool helps keep you fit, before relaxing in the steam room or sauna. Featured amenities include express check-in, a 24-hour front desk, and luggage storage. This hotel has 2 meeting rooms available for events. Self parking (subject to charges) is available onsite. Make yourself at home in one of the 28 air-conditioned rooms featuring flat-screen televisions. Complimentary wireless Internet access keeps you connected, and digital programming is available for your entertainment. Private bathrooms with bathtubs or showers feature complimentary toiletries and hair dryers. Conveniences include coffee/tea makers and irons/ironing boards, and housekeeping is provided daily. The historic city of Lancaster is a lovely place to visit if you're looking for great city to see, historic sights to experience and a buzzing dining and nightlife scene to enjoy. The city is defined by beautiful Georgian architecture and always has something going on with annual events like the Lancaster Jazz Festival, so it's definitely worth checking out what's on when you visit. The most popular tourist destination in the city is Lancaster Castle. This impressive medieval fortress dates back to the 12 century in places, and it's built on the sight of an ancient Roman fort. Lancaster is a cultural hub for the county, and you can easily spend your days exploring the various museums and venues in the city. Top of the list would have to be the Lancaster City Museum, Maritime Museum and the Judges' Lodgings Museum, the city's oldest townhouse and a Grade I listed building. Spend a lazy afternoon in the beautiful Williamson Park, or pop along to the Lancaster Brewery. And, for a fun evening, check out Lancaster Grand Theatre and The Dukes. There's no better way to immerse yourself in a city than to try some of the local restaurants. There's something for everyone in Lancaster, but popular places for a snack include The Red Door Café & Gallery, and the Moorish. The Three Mariners is a favourite pub with tourists and locals, and The White Tail serves vegetarian dishes. When booking a Lancaster hotel have a good look around. There's lots of choice so you'll be able to find something just right for you. 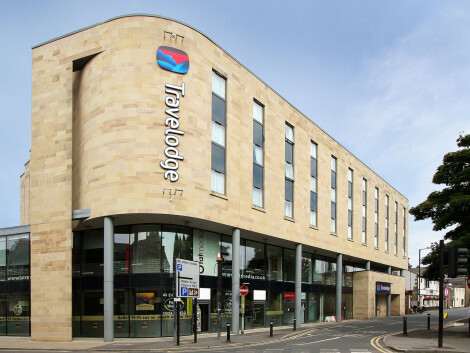 Lancaster House, Penny Street Bridge, Premier Inn Lancaster and Holiday Inn Lancaster are just a handful of popular places to get your started.